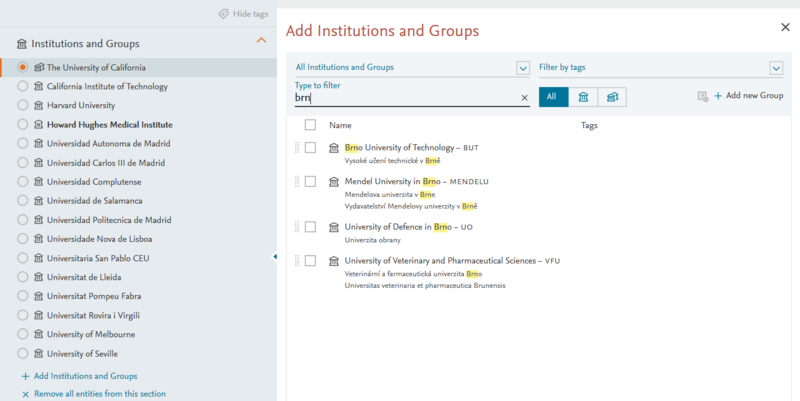 As part of SciVal’s Sagan release, we will be helping you to find an Institution faster by enhancing the way we display Institution names in SciVal. We will support local language characters, multiple name variations for an institution (English and up to two local name variations) and a common acronym, all of which will aid discoverability. 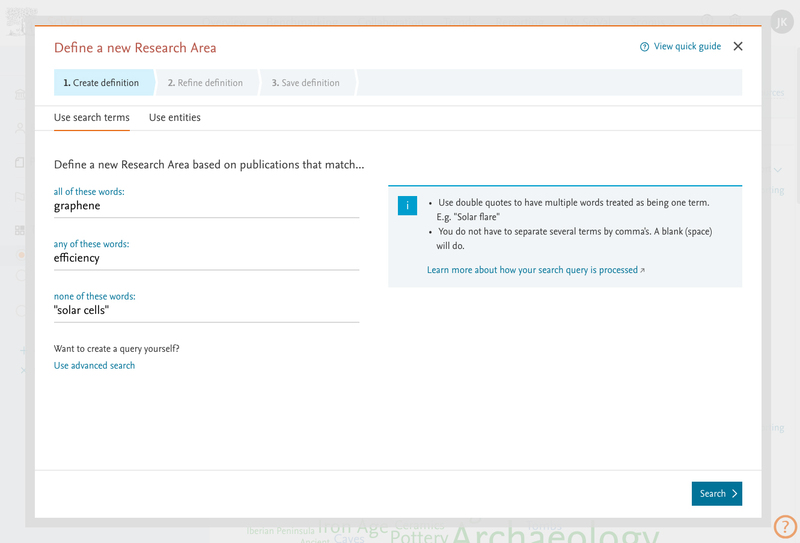 Enhanced flow to define Research Areas. 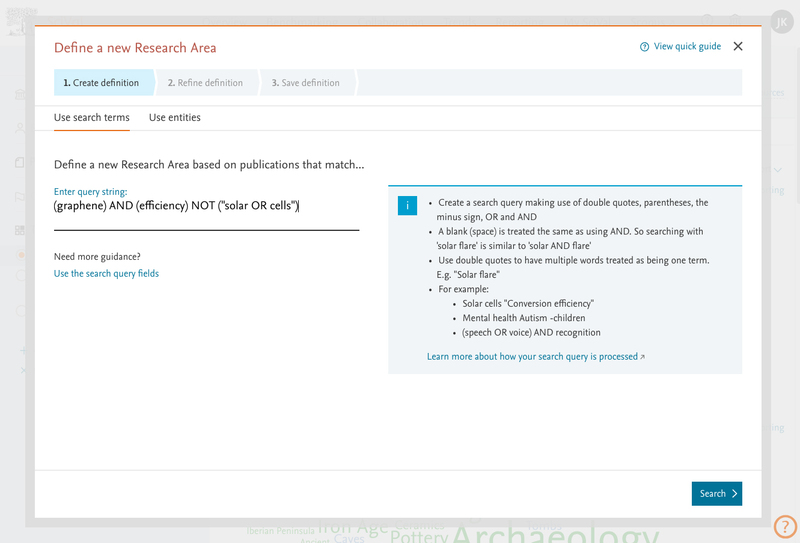 We've simplified the search options when defining a Research Area and included an advanced search for our power users. 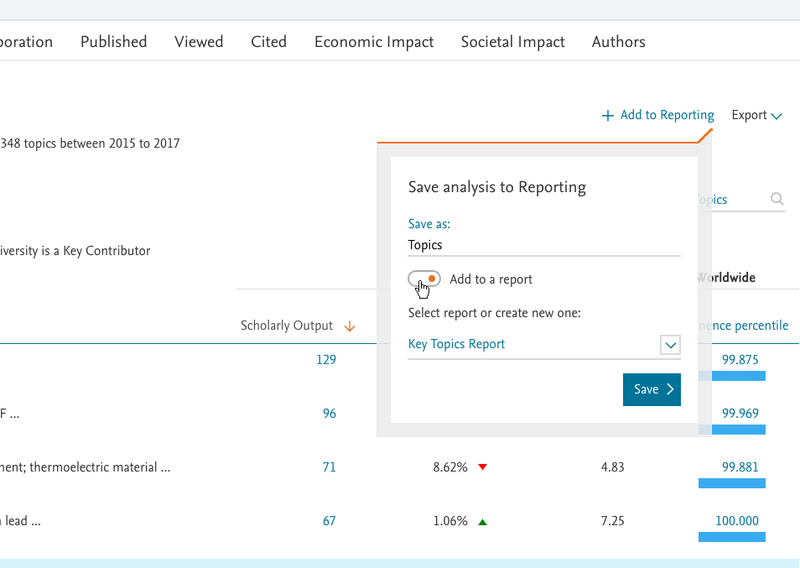 You are now able to add an analysis directly to an existing report, or create a new report within the module you’re using. Read all about our latest Reporting enhancements. Figure 4 & 5. 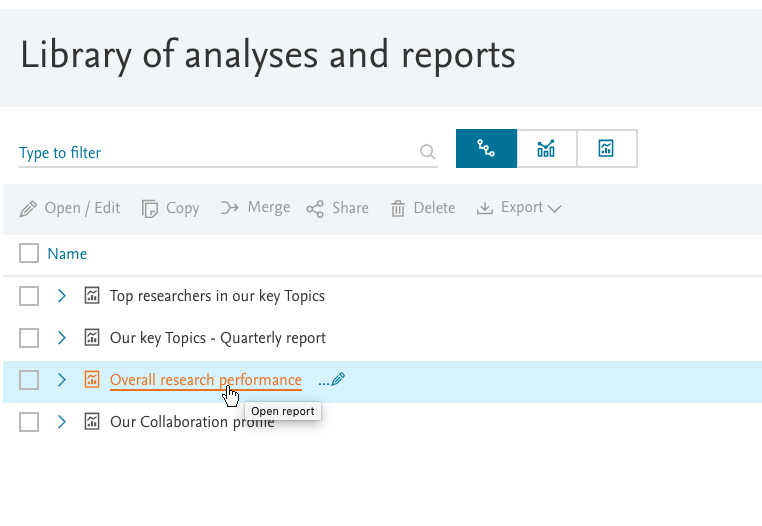 You can now add an analysis directly to an existing Report, or create a new Report within the module you're using.